which provide an Extraordinary Feeling & Great Tactility. Slim Body made of high-grade Aerospace Aluminum alloy. Nano-coating shield - making it water-resistant, dust-resistant, and even snack-resistant. 100% Anti‑Ghosting technology with Full N‑Key Rollover. Bright White LED Backlight, with 10 Brightness levels, and 8 Customizable Backlight profiles. Lets You Type at the Speed of Light in a Comfortable and Healthy Manner. 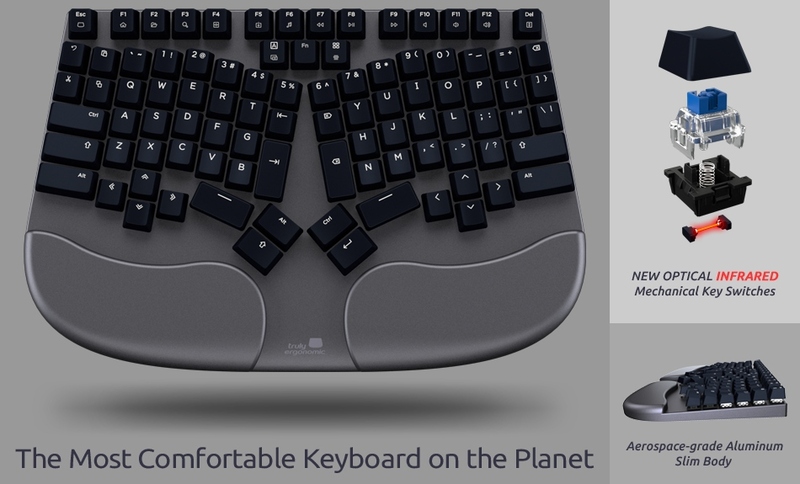 and Anyone Who Wants to Have the Most Comfortable and Satisfying Typing Experience.